A grim and unfriendly woodcarver keeps to himself in a New England town at the turn of the (last) century. One day he receives a request from a widow and her son to carve a nativity scene. 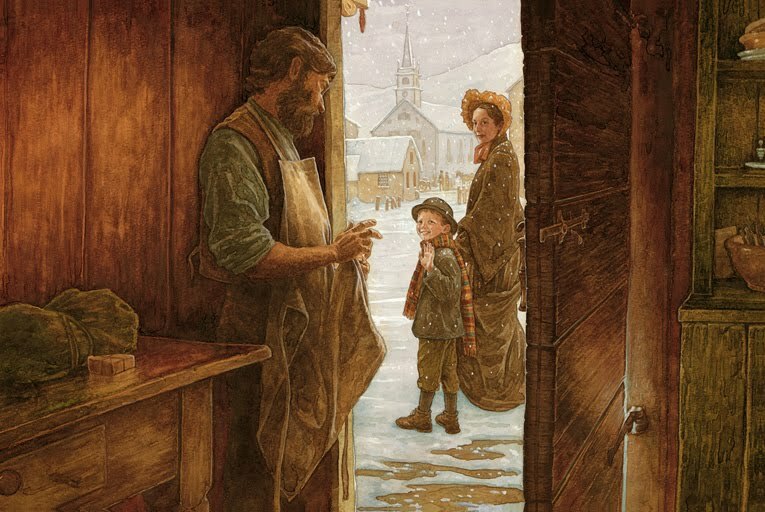 Every day as he works on the figures the widow and son visit, and the boy eventually wins his trust and love, resulting in the miracle: an emotional reawakening for the lonely woodcarver. A heartwarming Christmas tale that never descends into sentimentality, thanks to the restraint and subtle craft of the author. The woodcarver’s secret anguish – a wife and child lost years ago – is gently revealed, and his miraculous transformation from a lonely, lost soul to a caring, loving man is gradual and affecting. The repetitive nature of the widow and child’s daily visits highlight the incremental changes in the woodcarver’s attitudes toward them and the world at large. By Christmas morning Jonathan Toomey has changed enough to walk with them to church, smiling and laughing the whole way, to the surprise and delight of the whole community. The illustrations by P.J. 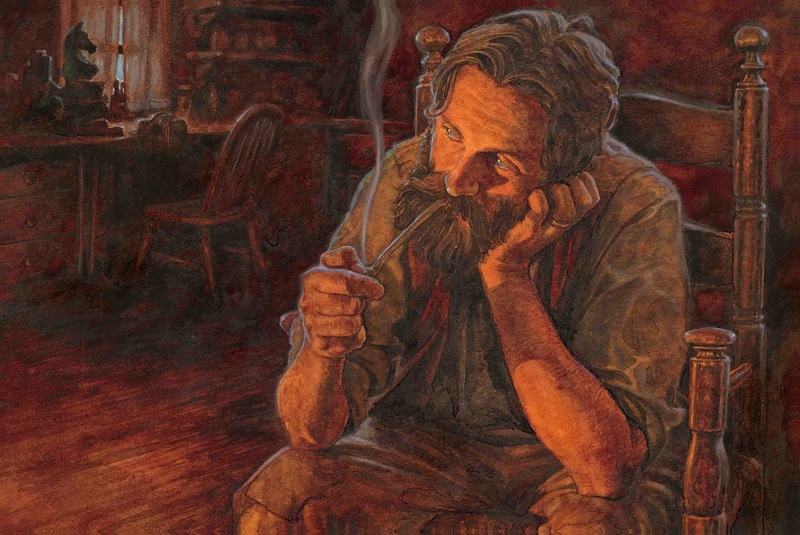 Lynch are absolutely masterful – stunningly rendered, with much attention given to period detail, glowing interiors and textures, and wonderfully nuanced characters and expressions. A touching story beautifully told and gorgeously illustrated. The kind of Christmas story which could easily become a yearly tradition.